Pippy Houldsworth Gallery is proud to present young American artist Benjamin Butler's first solo exhibition in London. 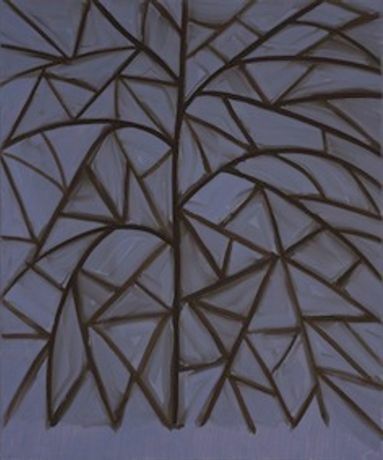 Within this new group of works, Butler's iconic exploration of the âtree' takes on a dark, almost monochromatic character. 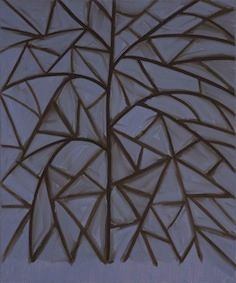 These paintings are in one sense relics of Modernism  arguably an extended and diversified exploration of Mondrian's tree paintings, and an assertion of the objecthood of the canvas. Butler's loose economical mark-making loses the idealism of pure abstraction however, acknowledging the materiality of the canvas as well as his process of making. These elements are exemplified or âperformed' through vivid gestural, yet minimal, permutations. Through concentrated divisions of the picture plane, Butler's paintings use drawing to explore ideas of depth, surface and horizon in a painted space that hovers tentatively between abstraction and figuration. Benjamin Butler (born 1975) lives and works in Vienna. Solo exhibitions include Galerie Martin Janda, Vienna; Tomio Koyama Gallery, Tokyo; Lora Reynolds Gallery, Austin; Galerie Michael Zink, Berlin; Karyn Lovegrove Gallery, Los Angeles; Klaus von Nichtssagend Gallery (New York) and Team Gallery, New York.